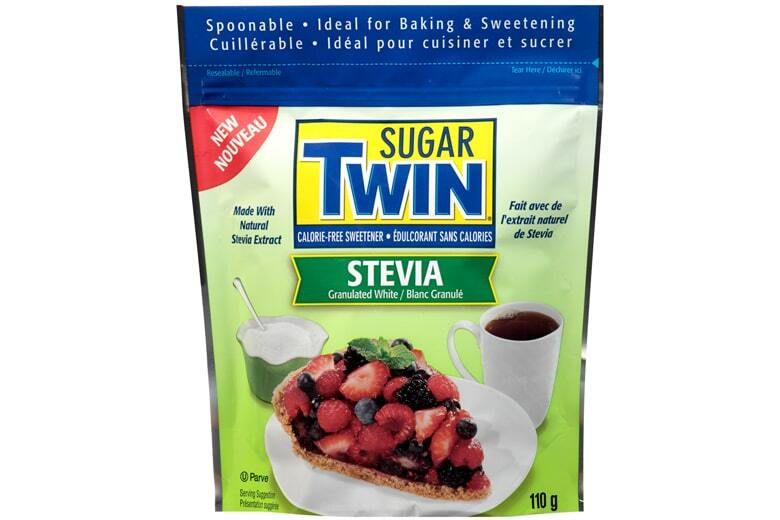 Sugar Twin calorie free sweetner granulated brown is ideal for baking. It measures like sugar and a 50g box sweetens like 1 1/4 lbs of brown sugar. Maltodextrin, sodium cyclamate (32%), caramel colour, artificial flavours.